Imagine that for five years you are living in a dirty cramped 12-foot by 20-foot basement room that is heaped full of boxes and other material in an office building in a major city. In this room are six others who must live and sleep together and with only two beds. 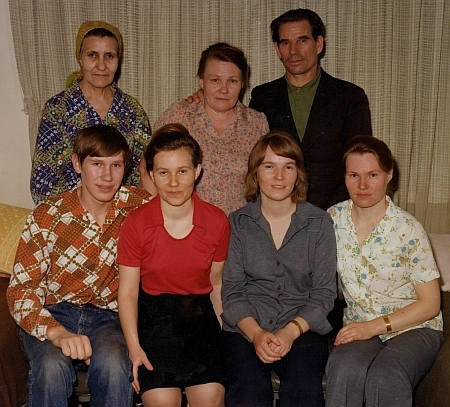 This was the experience of seven Siberian Pentecostals who sought refuge from religious persecution in the American Embassy in Moscow in 1978. It would 1983 before even one of them was able to leave. That one person was Lida Vashchenko. In 1978 seven Siberian Pentecostals crashed past Soviet guards and into the United States embassy seeking help in emigrating from the Soviet Union because of religious persecution. Pyotr Vashchenko, Augustina, and their three daughters, Lidiya, Lyubov and Liliya along with fellow Christian believers Mariya Chmykhalov and her son Timofei had traveled 2,000 miles by rail from the Siberian town of Cherno-gorsk. Starting in 1961, Siberian officials began harsh anti-Christian campaigns and routinely disrupted Christian worship services and jailed many Pentecostal leaders. The Vashchenko children faced harassment at school — ridicule, ostracism and beatings. The following year the Vashchenkos decided to educate them at home, but the state ruled them unfit and removed their daughters from the home and placed them in state homes until they turned 16. In January 1963, while Pyotr was in prison, Augustina and fellow Pentecostals made international headlines for forcing their way into the U.S. embassy seeking asylum. When they were promised better treatment they left. However, the Vashchenko’s home was confiscated, their jobs were lost and they were imprisoned. Known to the outside world as “the Siberian Seven,” they lived as uninvited guests in a grubby 12-foot by 20-foot room in the basement of the U.S. embassy on Moscow’s bustling Tchaikovsky Street. They shared two beds and earned small change around the embassy washing cars, knitting garments, cleaning rooms. Inspired by Soviet Dissident Andrei Sakharov, after three and a half years in the embassy basement Augustina and Lidiya Vashchenko began a hunger strike — stopping their eating in a desperate bid to win world attention and shame the Soviets into relenting. Their health failed quickly. Their plan worked as the severity of their situation gained international attention and the hunger strike became life-threatening. However, Pyotr Vashchenko was opposed to their tactics because of his understanding of the Christian teaching against suicide. While in the embassy, the group completed a 225,000-word account of their heart-rending saga, reworked by John Pollock as The Siberian Seven. Their experiences reveal the sufferings that Christians behind the Iron Curtain had been compelled to bear. It has been noted that the case of the Siberian Seven is a good example of the gravity of the human rights situation that existed inside the Soviet Union. 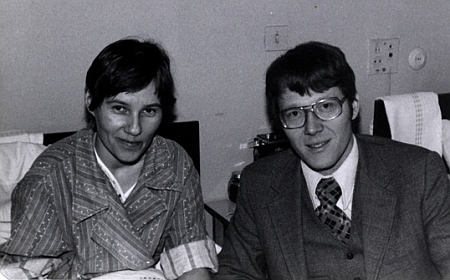 The Wheaton College Archives & Special Collections acquired the papers of Kent Hill that related to the Siberian Seven. Hill, former president of Eastern Nazarene College and former director of the Institute on Religion and Democracy, was studying in Moscow on a Fullbright scholarship when the seven sought refuge. Hill eventually received, and later translated, copies of their papers that they had compiled to document their charges of persecution and oppression. These papers tell a story of human rights violations and religious persecution. The collection (SC-52) contains diaries, correspondence, photographs, and other manuscript material.